Branding is an essential concept an entrepreneur must be familiar with. More than being familiar with the term, said entrepreneur should be able to devote much of his or her time and creative energy on establishing a solid brand for his or her business. The fashion industry is among the top industries that bank on branding for success. With such a diverse pool of competitors, one must be able to stand out through a remarkable brand design. Your fashion brand is your way of projecting your identity to your target market. Coming up with an effective and excellent design means getting your audience to immediately recognize you, and for their perception of your company to be in line with yours. 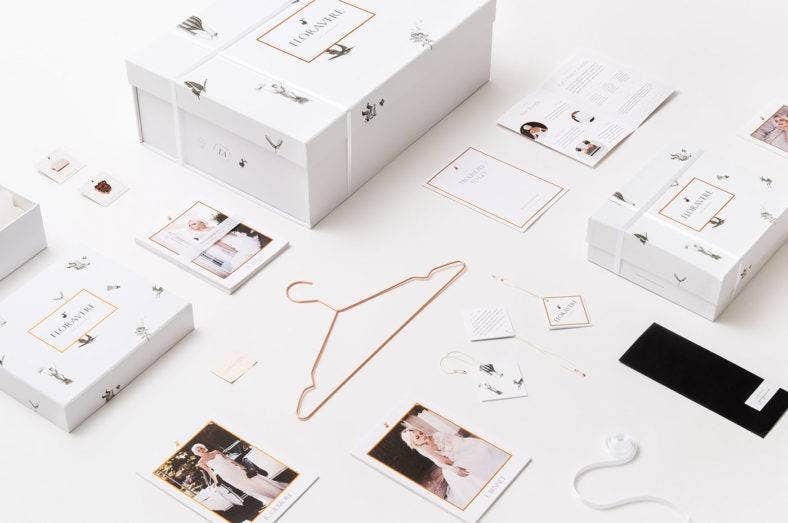 What we’ve got right here are some of the best and the top fashion branding identity designs you should be well aware of. We’re offering you a wide variety of designs to give you your much needed inspiration for your own branding ideas; where you can hopefully come up with new and unconventional ones to be the game-changer you were meant to be. What else are you waiting for? Start scrolling! The branding design of this high-end UK-based retail store for fashion and antique furniture really lives up to its classy nature. With distinct yet clean textures and colors, the REAL banding design was able to convey a message of traditional elegance. 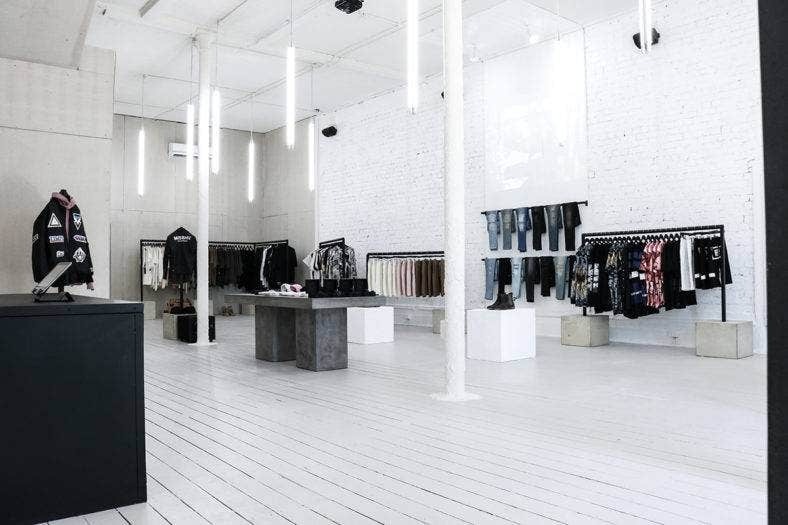 This concept store is the home for high end street wear brands. Their branding is successfully established in their packaging and store interiors. The designs are very mod and urban with a minimalist character to keep the look clean and professional, while being very edgy and appealing. Lessons can definitely teach you a thing or two about the classy urban chic look. District 3 presents a more casual and underground mood to urban design. 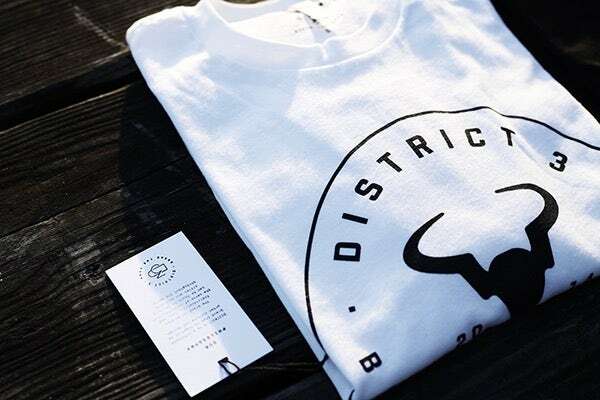 Because it delves more into the individualistic nature of people while having a sense of community within their cit or districts, District 3‘s branding design is geared towards the raw and authentic look. 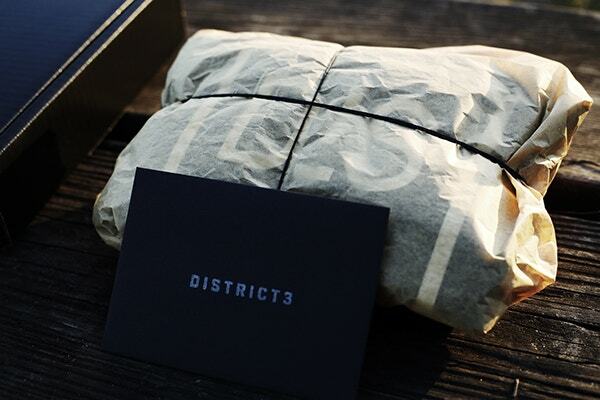 It’s packaging is handcrafted and hand-stamped with a clean and minimalist tag design for subtlety. The word ‘pact’ is an agreement between two sovereign states or more. 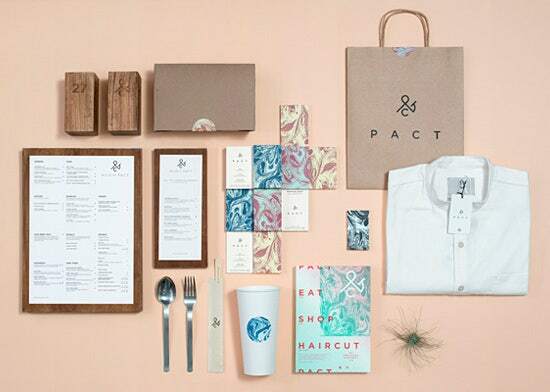 With this retail company, Pact is the coming together of creatives to form a single identity. 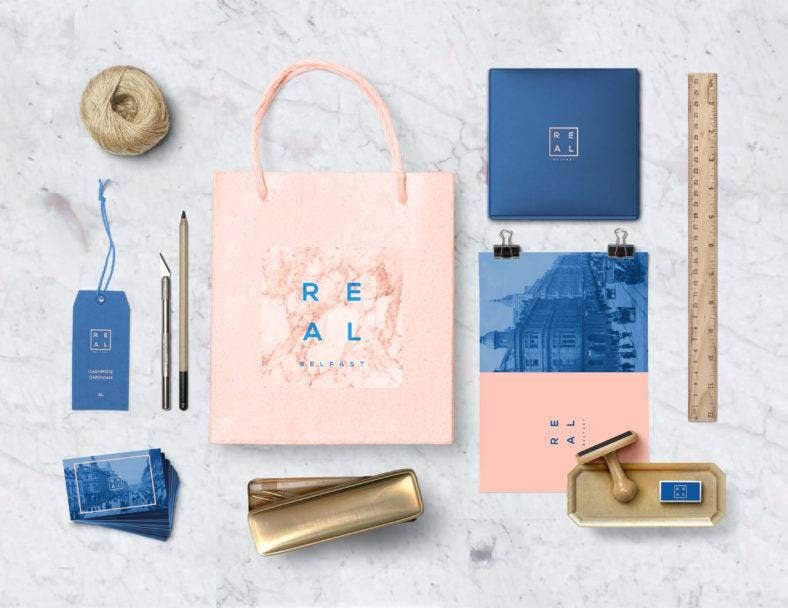 To create a unified branding identity for different types of businesses calls for a unique design. 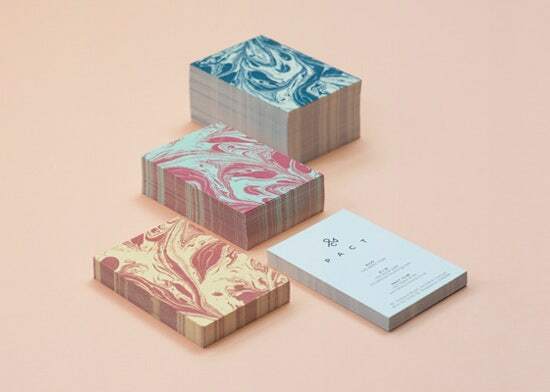 With this particular branding design, the distinct swirls and mix of marbling texture effectively represents the diversity and unity between partnerships and collectives. One effective approach to brand designing is to have your designs closely related to the name of your company. Moreover, they should carry the company ethos to really bring out your identity. This branding design for Õnda, for example, beautifully executes the meaning of the Brazilian word meaning “wave”. It’s light and soft structure also induces a feeling of serenity and relaxation. 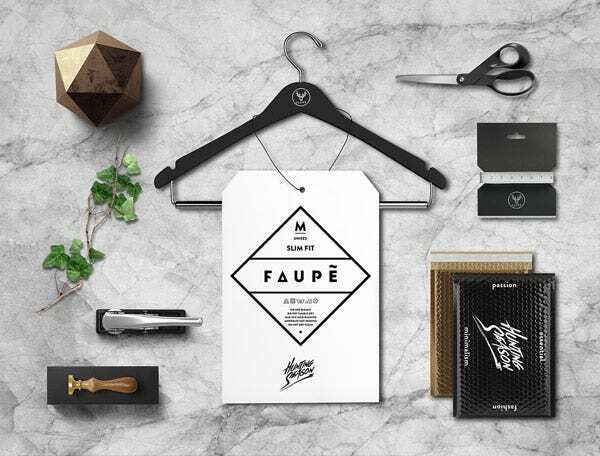 Designing the fashion business card in natural tones is also reflective of the recycling element of the company. Say no more. 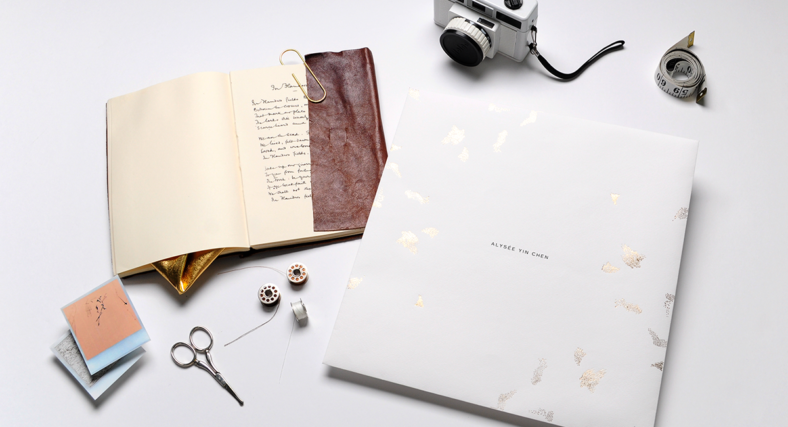 This branding design for a wedding boutique is beyond elegant. It’s embellished in romance and subtlety with a clean look. Its iconic packaging, timeless card designs, and responsive store website layout is enough to make you believe love really does last forever. 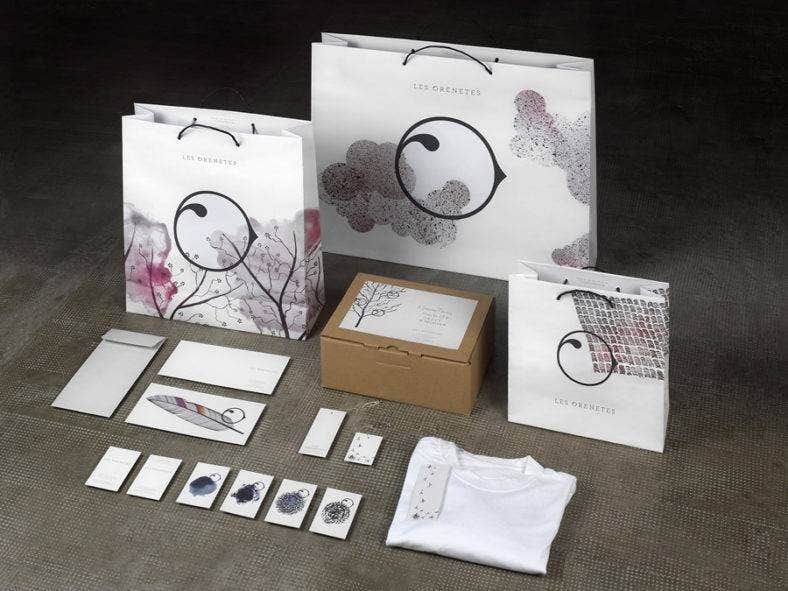 Speak in symbols with this delicate Les Orentes branding design. It’s composed of light weight typography, subtle floral, calligraphy, and watercolor elements to bring the intimate oriental atmosphere to life. With simple yet profound business card and packaging designs, Les Orentes was able to capture the very essence of its name. There’s nothing quiet about modesty, especially if you consider yourself a strong and stylish woman of today. 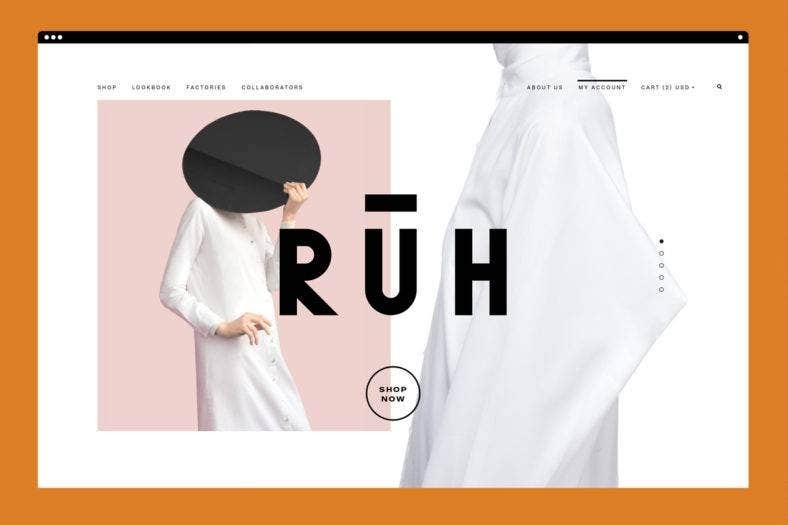 RŪH‘s branding design plays with color and geometric shapes to emphasize the unconventional and elegantly daring nature of their company. The variety in their color choices and design elements all contain a significant meaning in their approach to fashion, and overall goal in the business. Have as much courage and creativity as RŪH when approaching banding designs to stand out. 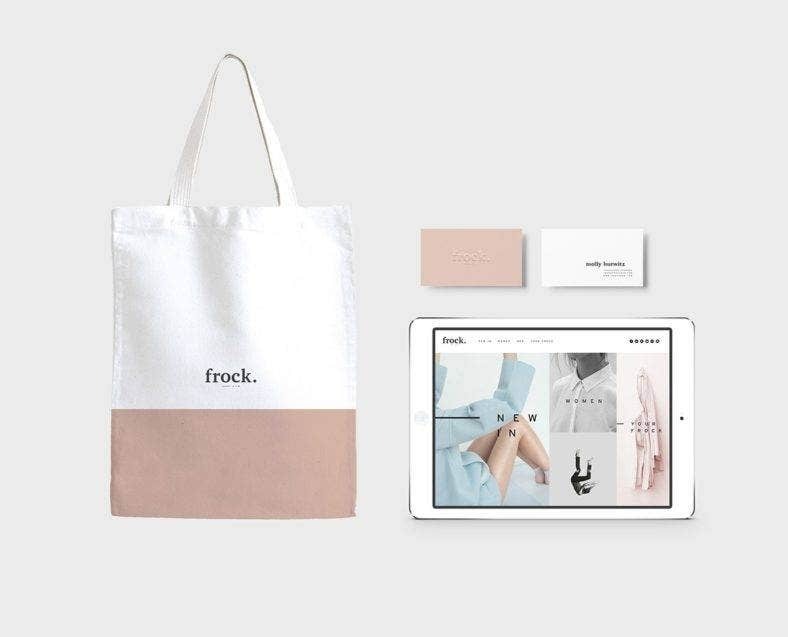 The branding design for Frock really basks in simplicity with this minimalist pastel look. 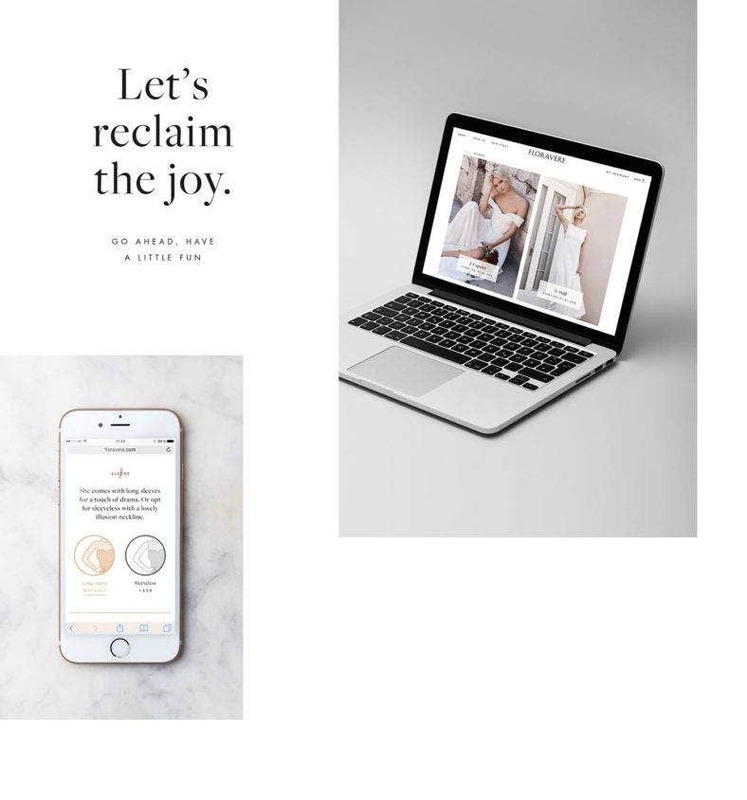 It’s completely modern with a dynamic and interactive fashion website that still maintains its professional and dreamy look. Tryst really struck a balance between the structured and inventive with seductive romance. 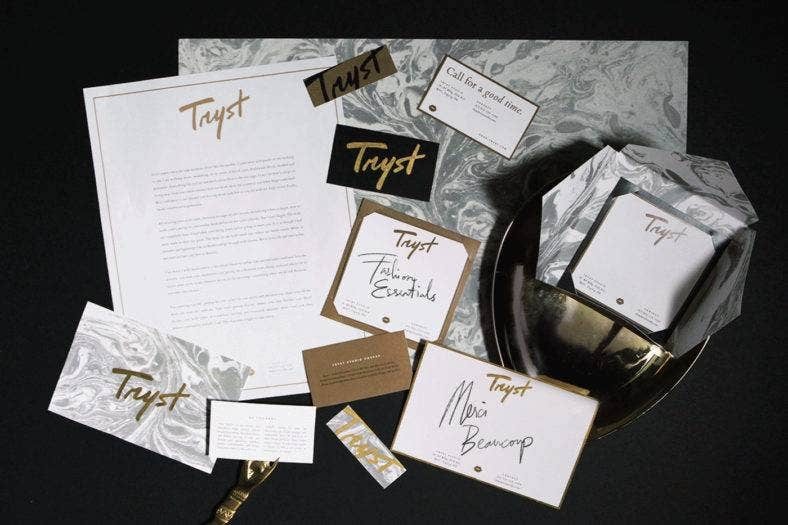 Its clear and opulent designs show a hint of subdued desire enriched by gold details and linings on their brand stationery, packaging ideas and more. Depending on the nature and mood you wish to bring out, carefully consider design options for branding to get the best outcome. It’s really important for you, as a fashion entrepreneur, to send a coherent message all throughout your designs. An epitome of modern femininity, Alysée Yin Chen’s branding design is just as intricate and delicate as the clothes they produce. With such diverse textile origins, their exquisite high end quality is fully embodied by their collateral. 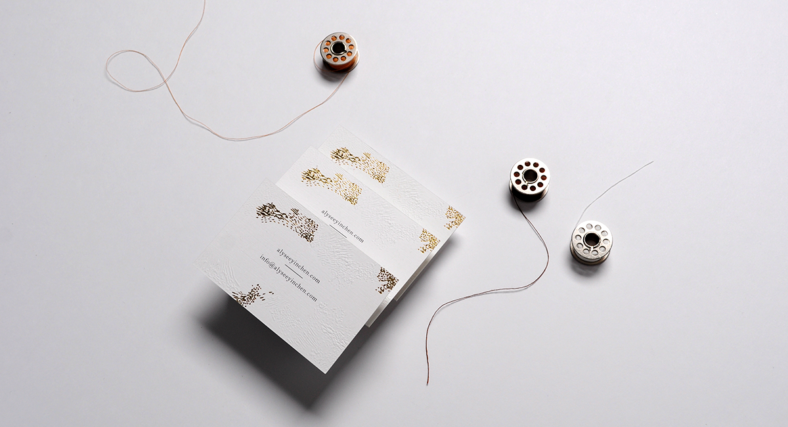 Their minimalist packaging and card designs are nothing short of luxurious, with splashes of gold against pristine white. 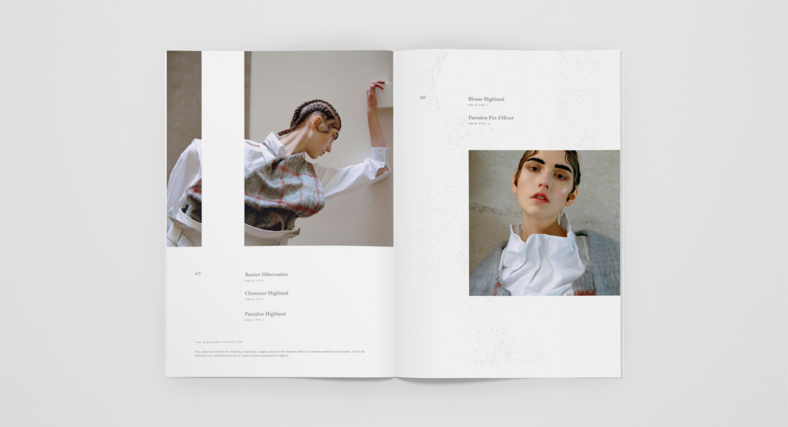 An integration of art, fashion, and modernity, Alysée’s fashion magazine layout presents a consistency that should be imitated by everyone. 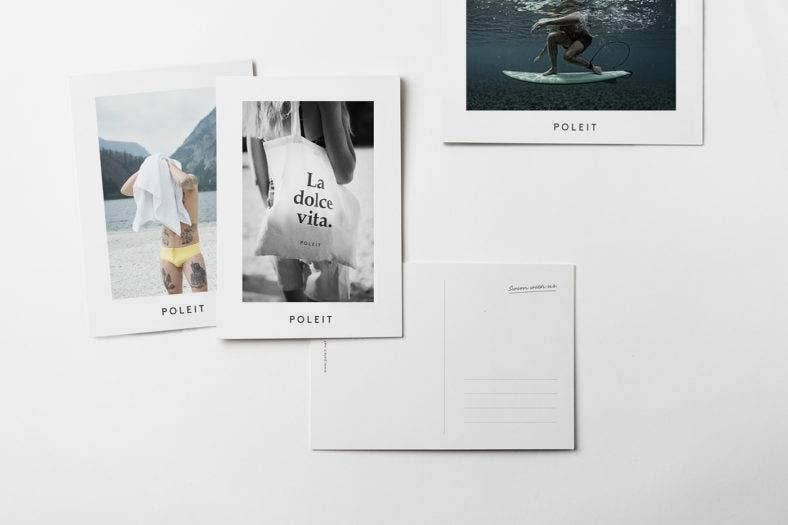 This branding design for Poleit Swimwear is one that inspires. 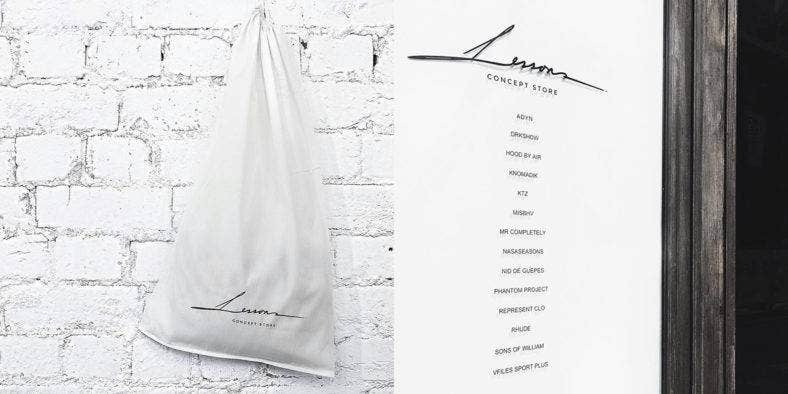 Its simple and minimalist design made room for the brand’s unique attributes. It perfectly captures the dreamy and homey atmosphere one can only experience at the beach. The company’s swimwear fashion website theme also maintains a clean and professional layout to stay coherent with the overall brand design. As you dive into the designing aspects of your brand, know that it’s very important for you to have a detailed plan for what you want to achieve. Brand designing is very crucial, and can make or break all your hard work. The key is to maintain a consistent look, because every little detail or material will always be traced back to your company. The first few tries may not always turn out great, which is why it’s important to respect the process of trial and error. 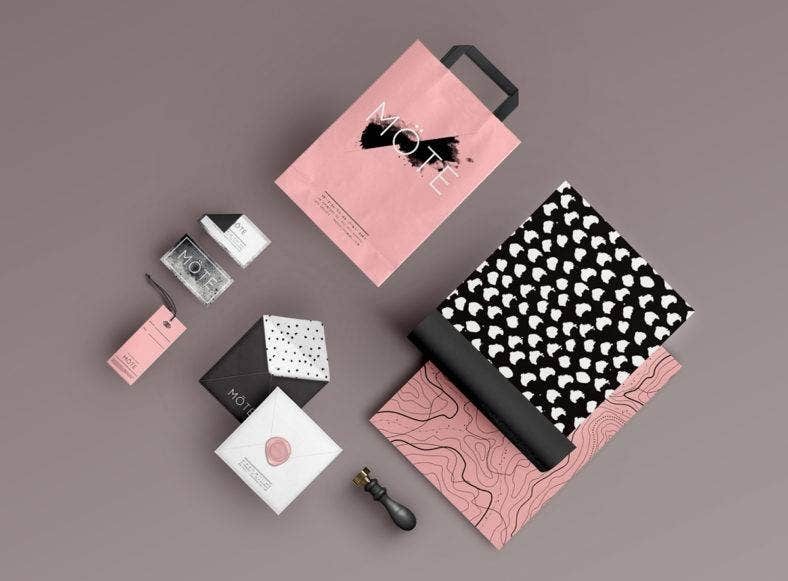 Check out more branding designs and experiment with free branding identity mock-ups to know what you’re in for.